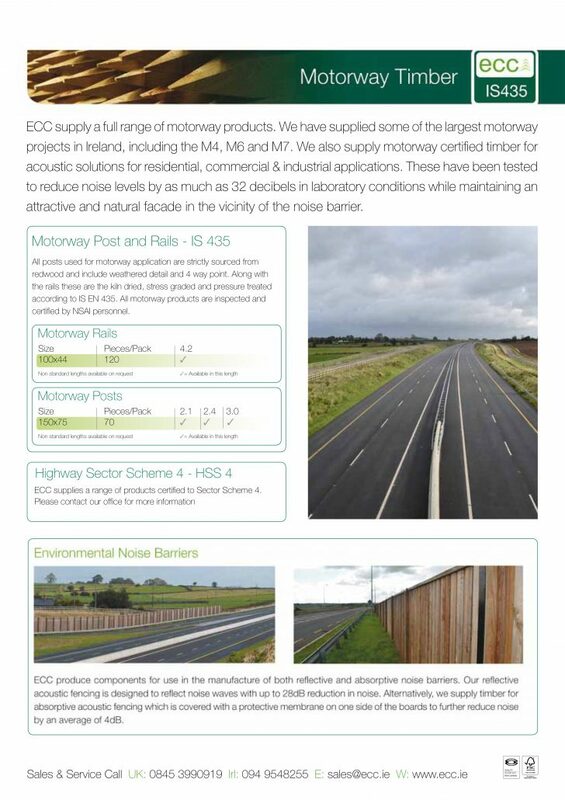 ECC supply a full range of motorway products. 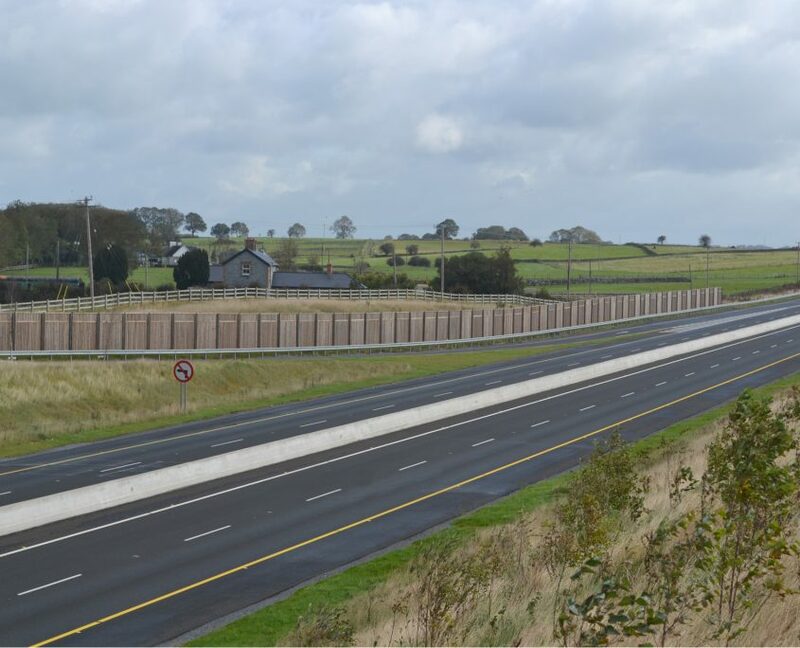 We have supplied some of the largest motorway projects in Ireland, including the M4, M6 and M7. 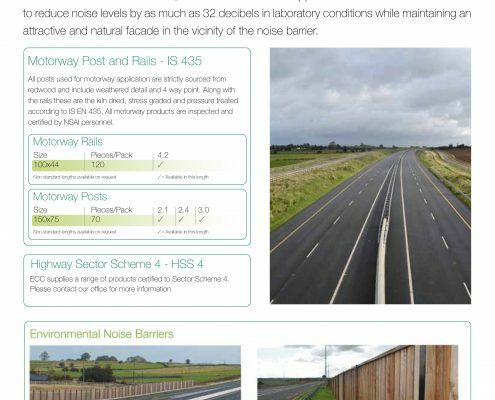 We also supply motorway certified timber for acoustic solutions for residential, commercial & industrial applications. These have been tested to reduce noise levels by as much as 32 decibels in laboratory conditions while maintaining an attractive and natural facade in the vicinity of the noise barrier. All posts used for motorway application are strictly sourced from redwood and include weathered detail and 4 way point. Along with the rails these are then kiln dried, stress graded and pressure treated according to IS EN 435. All motorway products are inspected and certified by NSAI personnel. ECC produce components for use in the manufacture of both reflective and absorptive noise barriers. Our reflective acoustic fencing is designed to reflect noise waves with up to 28dB reduction in noise. Alternatively, we supply timber for absorptive acoustic fencing which is covered with a protective membrane on one side of the boards to further reduce noise by an average of 4dB.